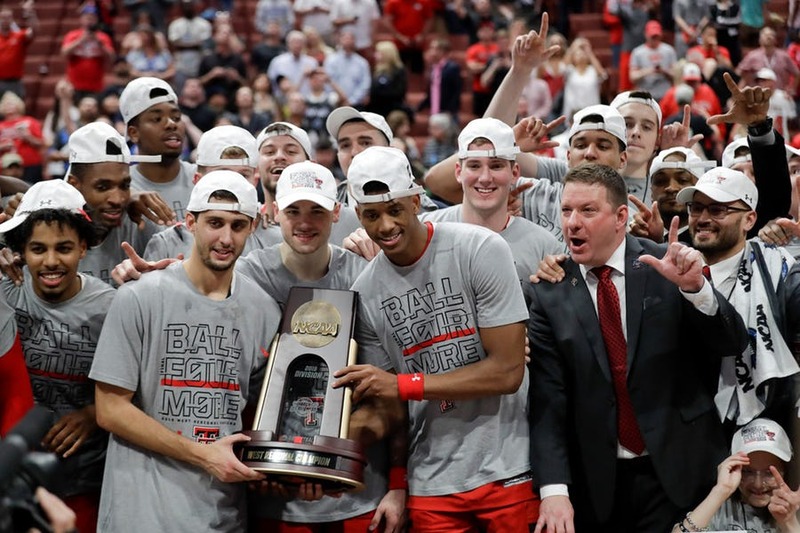 All West Virginia basketball fans should cheer for the Texas Tech Red Raiders to beat Michigan State tonight in the Final Four! The young, upcoming WVU basketball team beat the team that can advance to the National Championship game with a win against Michigan State in the Final Four tonight. West Virginia, led by a huge game from Emmitt Matthews, Jr. (28 points and 8 rebounds) beat Texas Tech 79-74 less than a month ago (March 14) in the Quarterfinals of the Big 12 Tournament. West Virginia had tremendous energy and showed how imposing they could be on the boards. The Mountaineers (14-19) pounded Tech 44-30 on the boards and turned that into a 22-11 edge in second-chance points. Texas Tech is considered a very physical team and West Virginia beat them up. Texas Tech (30-6), led Jarrett Culver, the Sophomore guard and Big 12 Player of the Year , can advance to its first national championship game when it plays the Michigan State Spartans in the 2019 Final Four in Minneapolis. Michigan State (32-6) upset No. 1 Duke in the East Regional final. Texas Tech has the nation’s best defense, according to KenPom, allowing just 84.0 points per 100 possessions. In the 2019 NCAA Tournament, the Red Raiders are allowing just 57 points per game and opponents are shooting 37.4 percent from the field. Texas Tech held Gonzaga’s offense, the highest-scoring in the country, to just 69 points, almost 20 below their season average. Why should be cheer for Texas Tech tonight? 1.) They are representing the Big 12 conference. Texas Tech winning and advancing could do nothing but help the conference and West Virginia basketball. 2.) It would be a huge confidence-builder for our young team to know that they outplayed and beat the very same team that made it all the way to the National Championship. 3.) Recruits want to play against the best competition and in the best conference. Texas Tech winning tonight would be huge for the entire Big 12. Put on your Red and Black, put your Guns Up and cheer for the Red Raiders hard tonight because we’re all Texas Tech fans tonight!